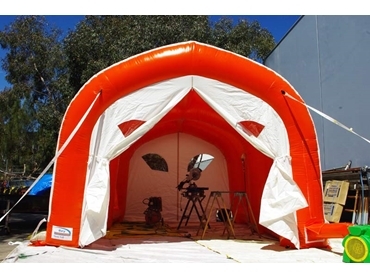 The EzY Inflatable Shelters have been designed by Giant Inflatables to provide the industrial and manufacturing industries with portable shelters that offer versatile space options, whilst being quick to set up and compact to store. 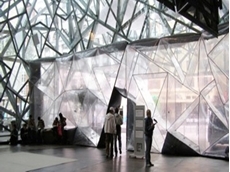 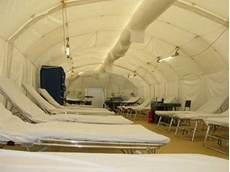 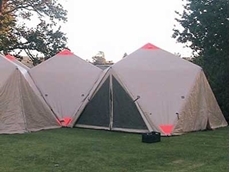 EzY Inflatable shelters are designed to operate in all weather conditions and because of its high portability it can easily be moved from different worksites depending on the need. 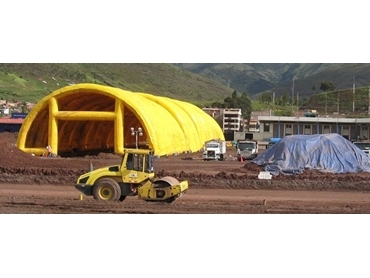 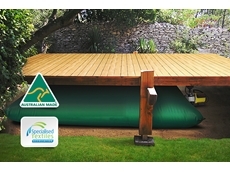 For more information visit the Giant Inflatables Industrial website. 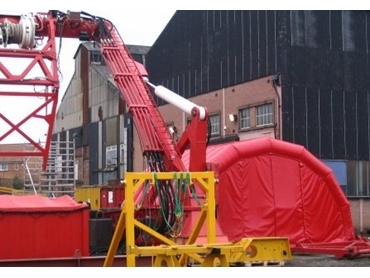 26/08/18 - A large inflatable blast shelter from Giant Inflatables Industrial is helping power plant personnel reduce costs during periodic turbine maintenance work. 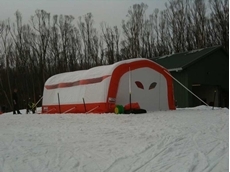 12/12/16 - Ski resorts in the southern hemisphere are getting ready for the winter season with preparations underway for snowmaking. 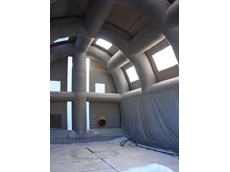 27/11/16 - Inflatable buildings from Giant Inflatables Industrial help various industries and businesses create comfortable temporary spaces. 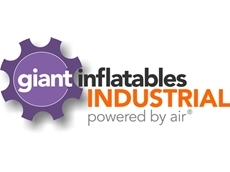 21/11/16 - Giant Inflatables Industrial announces a new range of portable inflatable shelters featuring cutting edge air beam technology. 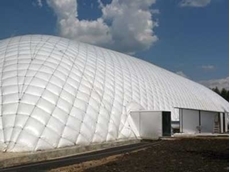 17/10/16 - Inflatable products are widely used in a broad range of industrial applications today, having evolved into sophisticated, all-weather structures.